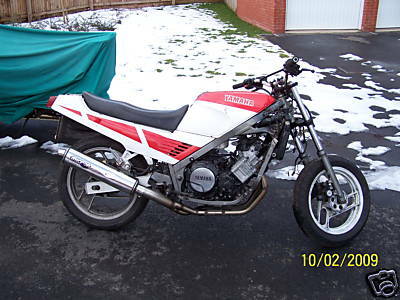 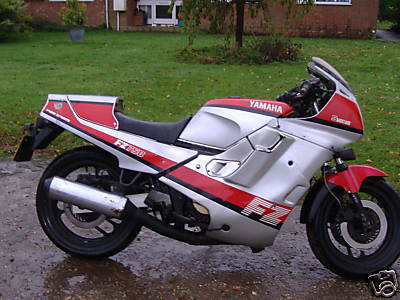 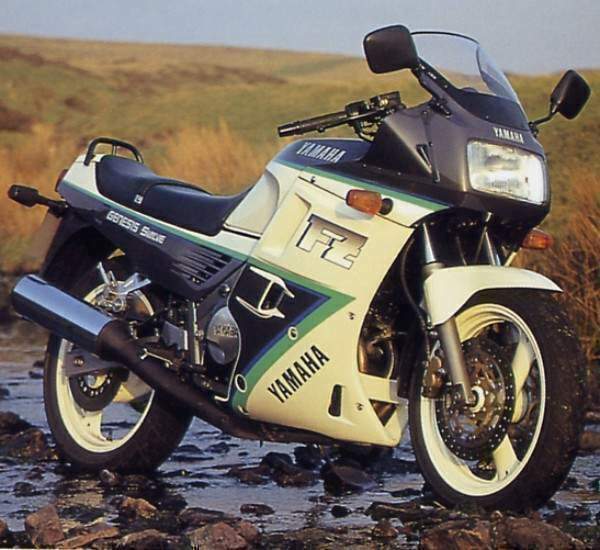 The FZ750 was quick to draw attention at the Cologne motor show in Germany in the autumn of 1984. 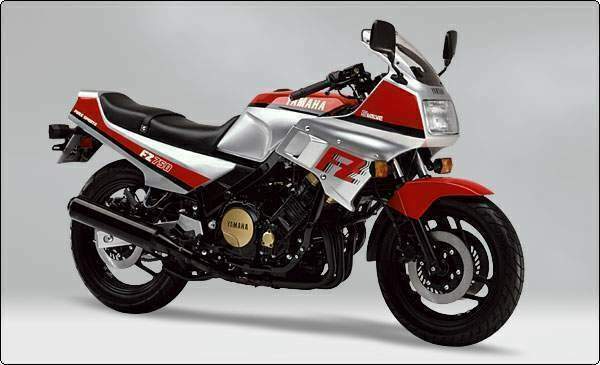 Its world's first 5-valve DOHC parallel 4-cylinder, 45-degree forward-inclined engine, was the product of Yamaha's pursuit of increased power output and vehicle stability. 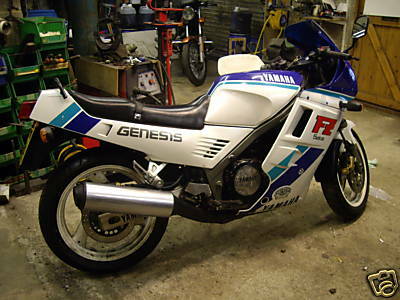 This “Genesis” concept has been passed on from the FZ to the FZR, and still continues to evolve. 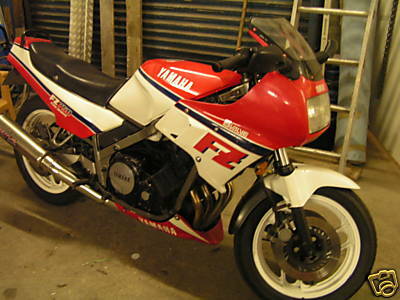 1986 Yamaha FZ 750 FZ750 frame & forks. 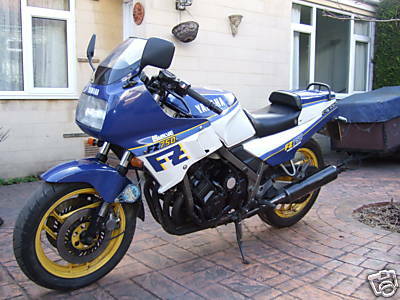 EXUP swingarm, shock and linkage, FZR1000 Genesis wheels, FZR1000 Genesis motor with unknown brand race system (it's well fruity!!). 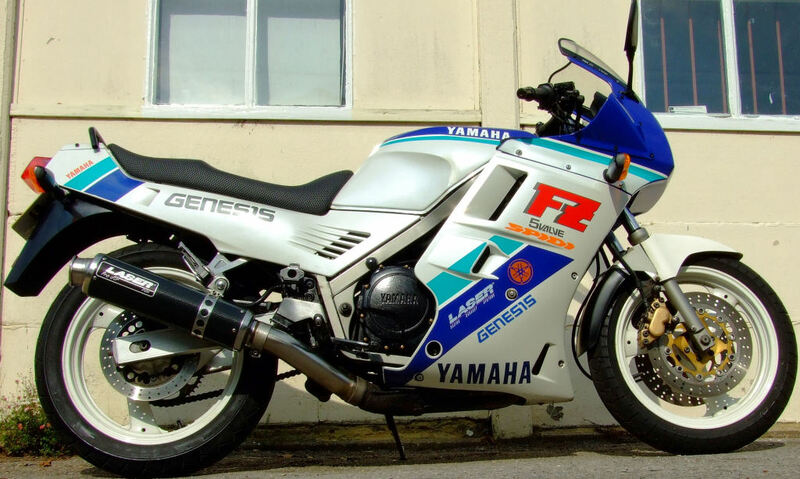 Rearsets, ZX9R six-pot calipers, R1 brake lever & master cylinder, braided stainless hoeses on the front and a Kevlar line on the rear. 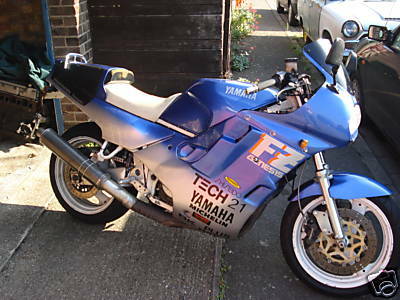 Bodywork is Harris with the twin headlight conversion and Tech21 paintwork by Dream Machine.